This is especially true when it comes from a talented, experienced musician such as Peter Wainwright. Peter brings over 35 years of skill and professionalism to his music business. Wainwright has been performing live since his youth, and has played guitar since childhood. 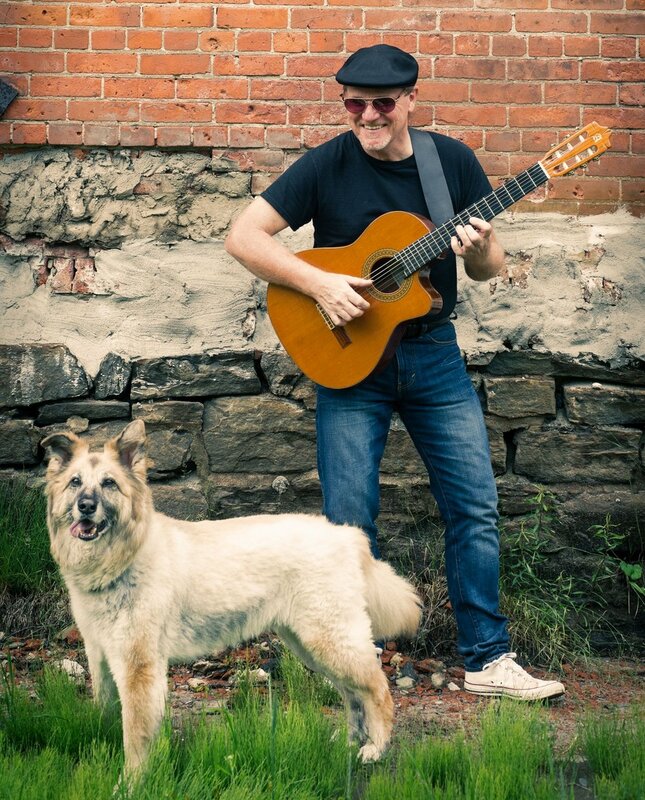 As a classically-trained guitarist, Peter brings his mastery to all genres: pop, rock, country, jazz, classical, flamenco, and Latin music. He has developed a unique finger-style picking technique, playing rhythmically with melody built in over top - a sound one can often mistake as a piano or as several guitars rather than one. He has a repertoire of several thousand songs, which allows him to play most requests and cater events to clients' individual needs. Peter brings true passion and artistry to his music, and has an extensive library of inspired original songs as well. Click here for more information on hiring Peter for your next event. Peter has performed all over Ontario both as a soloist and as part of an ensemble, and was the first and only guitarist regularly featured for over 4 years at the Firestarter piano lounge at Casino Rama. He played as the in-house talent at the Mediterra Restaurant and Lounge 6 nights a week for over 6 years at Market Square in Toronto's theatre district, receiving praise from the Toronto Star for his performance. He has performed at the Mariposa Market for over 15 years, and played the Ascona Place restaurant - a Gravenhurst institution - for over 15 years as well. He has had the honour of playing for such greats as Heart, CCR, Diana Ross, Gloria Estefan, Vince Gill, Tony Bennett and Diana Krall. He has opened for Oscar Lopez, and most recently for legendary Canadian classical guitarist, Liona Boyd. During the summer months, he can often be found performing at the Gravenhurst Farmers' Market, aboard the Segwun and Wenonah, and on various patios throughout Muskoka. In addition to a busy performance schedule, Peter also spends about 35 hours a week teaching in the heart of downtown Bracebridge, offering lessons in acoustic, electric, and bass guitar, as well as banjo, mandolin, and ukulele in all genres. See his lessons page here. Peter was educated at the Royal Conservatory of Music, the University of Toronto School of Music, and Ryerson University. Ever the artist, he gains inspiration from travel, and particularly enjoys travelling to Latin countries to immerse himself in the Latin and flamenco musical culture; many of his original songs reflect this passion. Check out Peter's music by clicking here, or visit any of his social media pages (links below). Clients can expect a professional experience catered to their specific needs and musical tastes. Have more questions? Click here for contact information, or on the button below to email. His dog Chica goes with him everywhere. Expect to see this gentle soul at your next lesson. He often jokes that people don’t pay him to play guitar, they pay him not to sing (despite having a captivatingly husky, expressive singing voice). Although he has a formidable guitar collection, his weapon of choice is a well-loved nylon-string classical flamenco guitar. He’s written hundreds of songs and is a gifted lyricist as well. He uses acrylic nails on his right hand as picks, which contributes to his unique finger-picking style and sound. Being of humble stock, Peter didn't write this stuff about himself. A friend added a whole lot of adjectives.